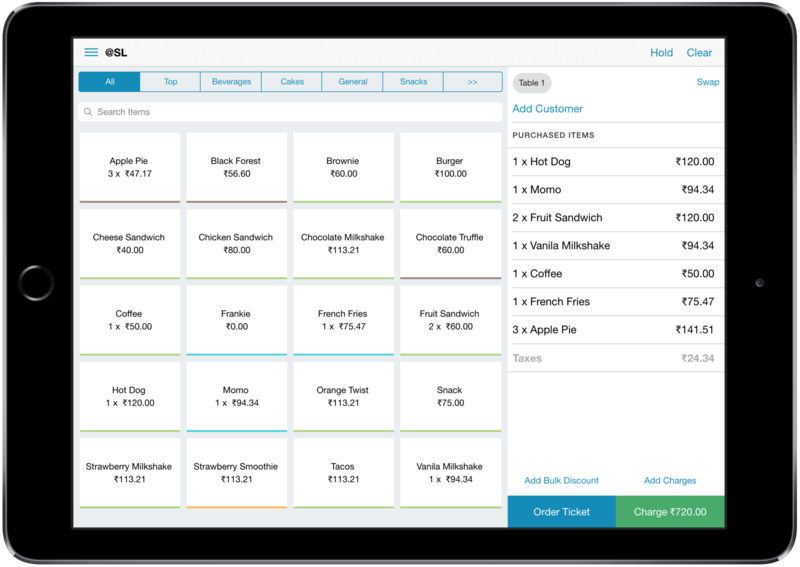 Cloud based billing software and POS system for restaurants and food outlets. 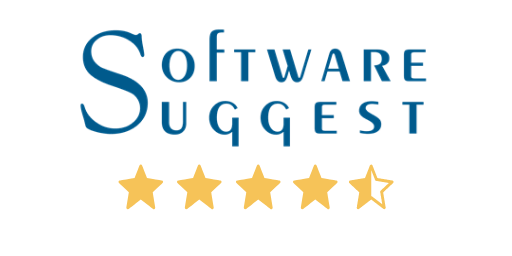 Cloud based restaurant billing software, and more. Run your billing software on any device. SlickPOS can be run on a browser, or can be installed as a Windows or MacOS app. You can also use our iOS and Android billing app for mobile and tablet. 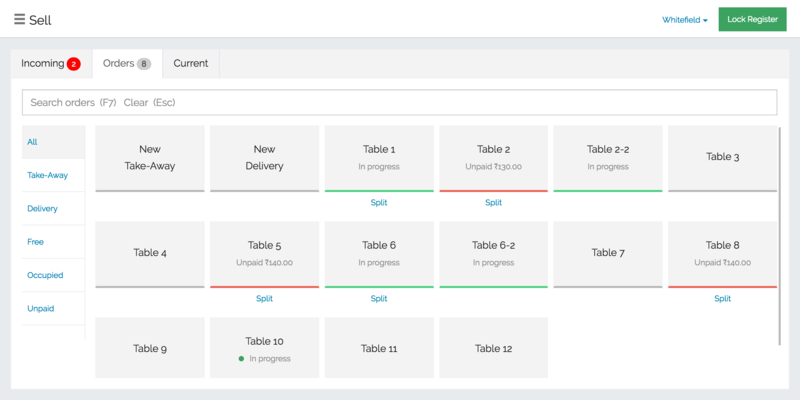 If you are a dine-in restaurant, you can setup and manage tables. You can also create and send KOTs for your made-to-order items. 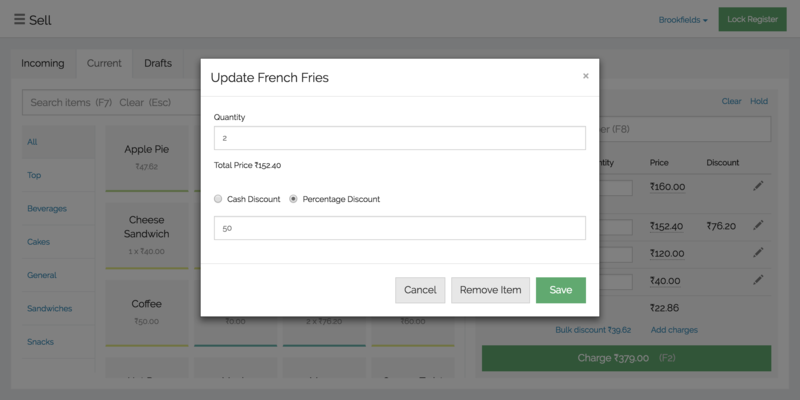 Manage online orders from your restaurant billing software. 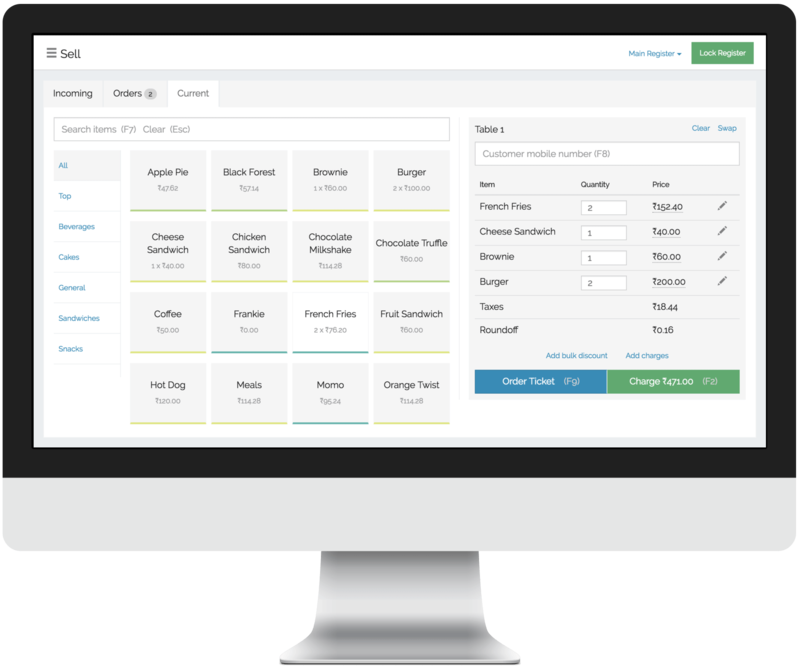 Integrate online orders with your restaurant billing software to manage both in-store and online orders using a single system. Promote sales by offering discounts. Run promotions by offering item level or bulk discounts. You can also control cashier permissions by allowing or blocking them to offer discounts. Prevent fraudulent billing by tracking cash balances when cashiers open and close a shift. 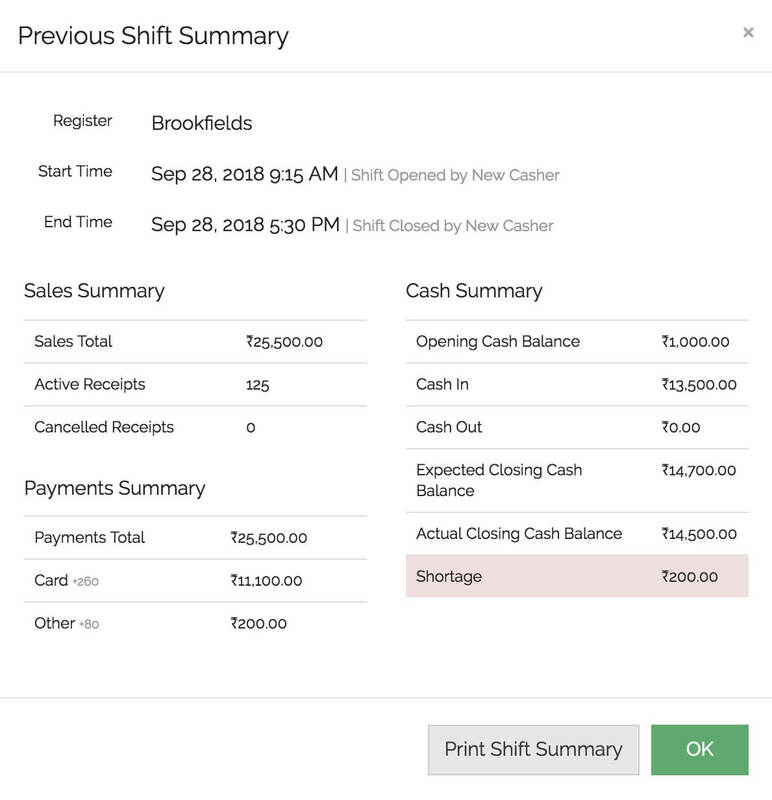 The shift summary highlights any cash shortage or excess. Manage your restaurant from anywhere. 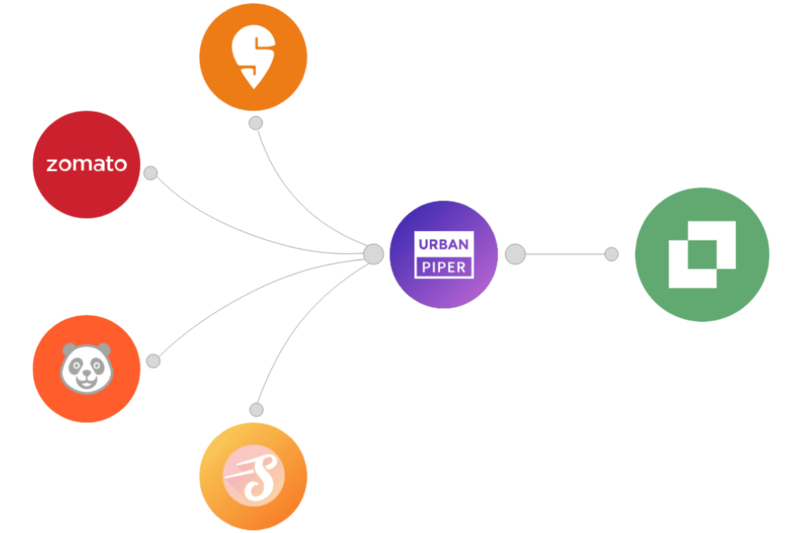 Use the SlickPOS Analytics app to track live sales metrics from anywhere. Being a cloud system, you can also change the setup and prices remotely. 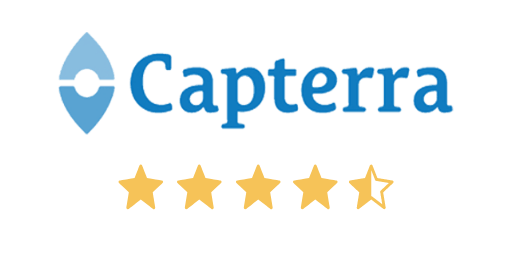 Top rated Restaurant Billing Software in Capterra, Software Suggest, Android Play and iOS App Store.